The Hampton Bay Convertible Flush mount Ceiling Fan Light kit can mount to most ceiling fans that have a switch cap with a threaded hole in the middle. This light kit has a Tea Scavo glass bowl and will coordinate with up to 4 different finishes which include BN, WH, Bronze and Brass. 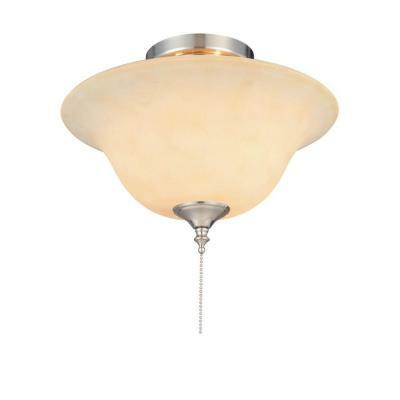 Install this light kit onto a ceiling fan or use it as a semi-flush ceiling light. Uses two 13-Watt CFL bulbs for energy efficiency (included).